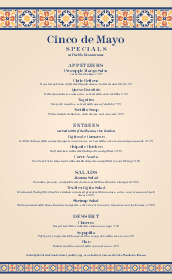 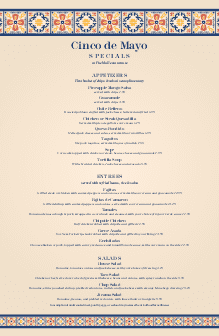 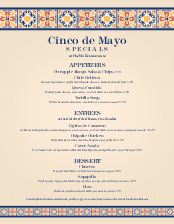 This half-page traditional Cinco de Mayo menu is presented in beige and blue. 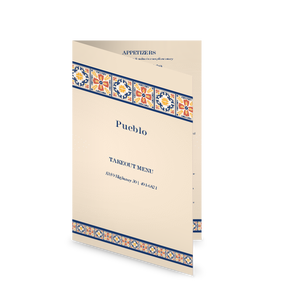 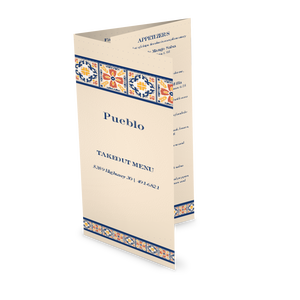 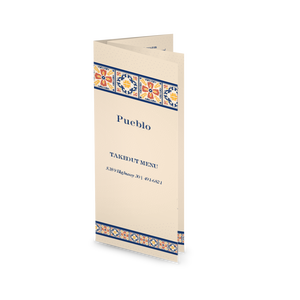 Traditional Mexican style tiles are presented on the top and bottom of the menu. 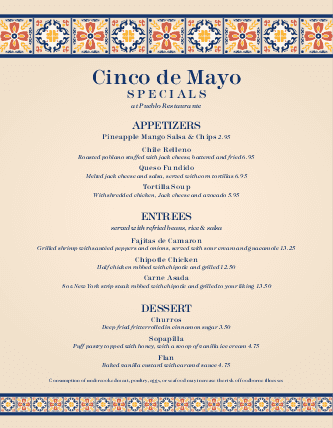 Mexican specials run down the center of the page in dark blue. 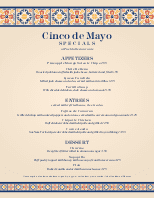 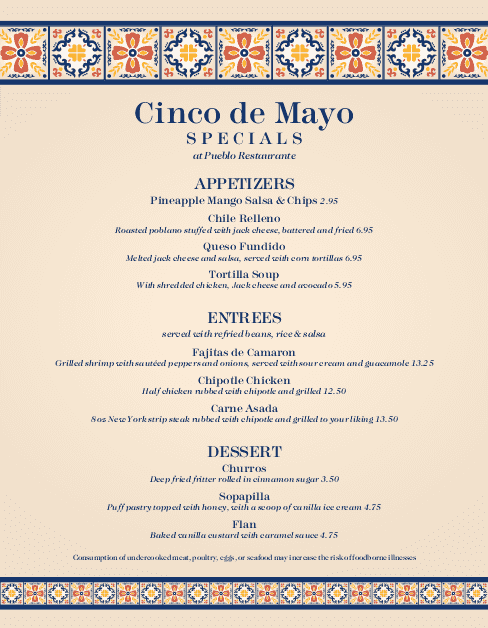 Update this Cinco de Mayo menu online using the Menu Editor.